Rewarding combat system. Open-ended story. Slight camera issues. Steep learning curve. From Software became a prominent name in the game industry after the release of Dark Souls — a game famous for it’s crushing difficulty that became a genre-defining franchise. I guess you could say that I’m among the thousands of fans of these Soulsborne games, having acquired all the trophies for all three versions of Demon’s Souls, Dark Souls 1, Dark Souls 2 and Bloodborne. Now, I didn’t mention Dark Souls 3 because quite frankly, I never got to finish the third one. By that point, the game’s charm had begun to fade and I was certain they will lose it for good. Sekiro: Shadows Die Twice is a testament to how wrong I was, and I’m glad for it. Sekiro takes place in the feudal era of a fictional Japan in the midst of an on-going war. Orphaned in the battlefield, our hero is taken in by a shinobi and trained in the ways of the Iron Code. Tasked with the daunting responsibility of protecting the heir of a sacred bloodline, the shinobi ‘Wolf’ must now face challenges not even death can spare him from. 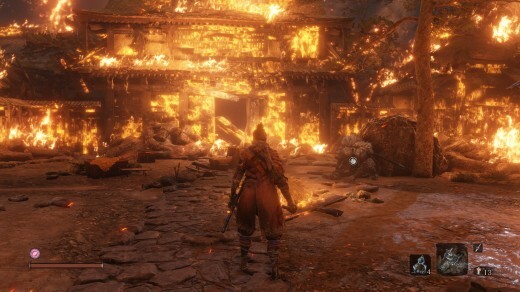 Unlike previous From games, Sekiro has a more straightforward narrative, offering plenty of cutscenes and dialogue throughout the entire campaign. Deeper lore through item descriptions and subtle details in the environment awaits those willing to learn more, but Sekiro’s story can stand on its own even without. There’s not much to say about Sekiro’s story other than that its an enjoyable one. Though a bit of a cliche, I managed to stay invested even after new game+. 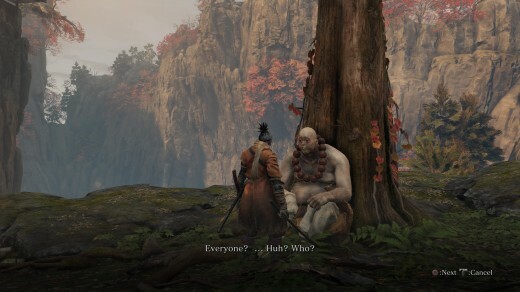 Like previous From games, Sekiro offers multiple endings, all of which are interesting enough to warrant multiple playthroughs. It’s important to note, too, that Sekiro is a full-on single-player game. There are no multiplayer gimmicks to distract you from the narrative. Sekiro, at its core, is a souls game, but it also isn’t. It establishes its own unique formula. Different enough that if you come in thinking its just another souls game, you’ve got another thing coming. This sheer fact is what I love the most about Sekiro. My experience in Dark Souls 3 told me that this is all there is. Sekiro demonstrates that the ‘souls’ formula can serve as an excellent foundation for something else entirely. Sekiro’s combat can be boiled down to two major things: Posture and deflection. 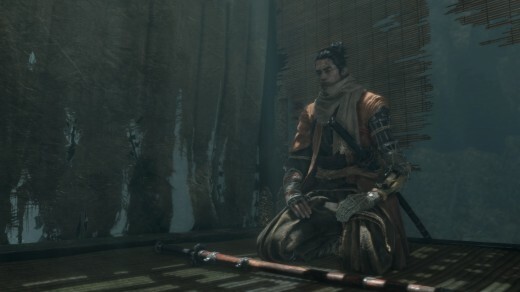 Posture is what takes Stamina’s place in Sekiro. Most enemies are guarded by a posture meter and only when you manage to break their posture will they be open to a Deathblow— a move akin to backstabs and visceral attacks from Dark Souls and Bloodborne respectively. Vice versa, you must maintain your own posture. Simply blocking attacks will build up posture damage, and when your posture meter fills up, you leave yourself open, which usually means death. Timing your block right causes a deflection. Deflecting an attack right before it lands will not only reduce your posture damage on-block but also causes a good deal of posture damage to the enemy that stuck you. Not all attacks can be deflected. Certain ‘Perilous attacks’ will break through your guard and cause a great deal of damage. These perilous attacks can be broken down to 3 types: Sweeps, Thrusts, and Grabs. Sweeps must be jumped over, thrust attacks must be deflected perfectly (or negated by a Mikiri Counter, but more on this later) and Grab attacks just needs to be flat out avoided at all cost. Individually they’re pretty simple to overcome, but opponents usually mix them up and it can be difficult to determine which perilous move they will be performing unless you really study your opponents tells. If Dark Souls taught you how to play safe and Bloodborne taught you how to play aggressively, Sekiro teaches you to focus. 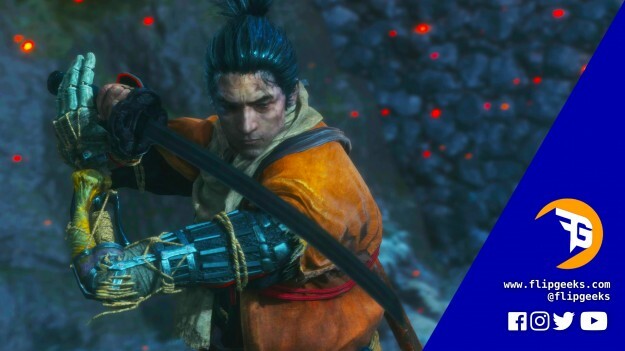 The challenges Sekiro pits you against can be daunting, but focus and analysis can be key. Most situations I initially found almost impossible to overcome, ended up being quite simple when approached a certain way. Similar to Megaman games, Sekiro can be easier given the right tools and the right mindset. What you found effective in one area, might not be as useful in another. Sometimes you’ll find the solution was right in front of you all along. Don’t get me wrong, skill is still the primary component to playing Sekiro, but often you’ll find that the game’s challenges are designed to keep you thinking, making conquering them all the more satisfying. 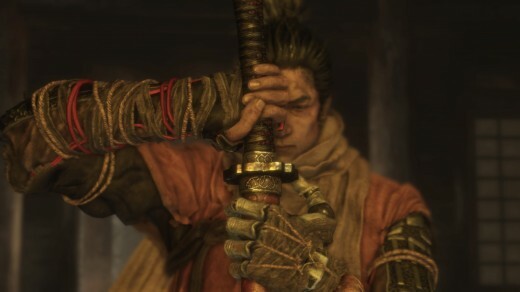 Posture and Deflections might be the core of Sekiro’s gameplay, but he is not without his tools. His prosthetic arm isn’t just for show. You can outfit it with a number of tools you can find scattered across the land, taken from enemies, or bought from vendors. Again, similar to how Megaman weapons work, these tools are often good for certain situations and it’s up to you to figure that out. Sekiro doesn’t have a traditional leveling system like previous From games. Instead, you can increase your attack power, vitality and posture by defeating certain bosses or collecting certain items in the game’s world. 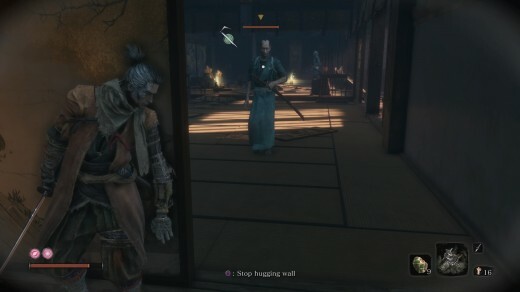 However, Sekiro does have a plethora of Passive and Active skills to unlock. Combat Art and Shinobi Art are Sekiro’s active skill types and you can equip one of each at a time. 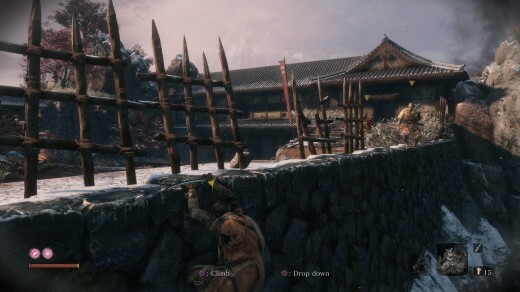 Combat arts are performed by pressing both shoulder buttons, making Sekiro perform stylish combat moves that are also quite situational. Though it doesn’t seem much, it’s actually quite fun to build up Sekiro’s skills and arsenal and can also take quite a while to complete. Sekiro is challenging. Some might say it’s too hard, some might argue the opposite. I would suggest that it’s simply different, and whether or not it’s easier or harder is quite subjective. For instance, playing Sekiro carefully and methodically might lead to a smoother experience, running around mashing buttons might not. And Souls players who are used to playing a certain way might be betrayed by their instincts as they won’t exactly apply here. Nevertheless, From games are designed to push players to persist, and I found that doing so in Sekiro is absolutely rewarding from start to finish. Sekiro: Shadows Die Twice excellently blends feudal era Japan’s distinct atmosphere with rich fantasy elements. This can be said for both the environments and its inhabitants. The color and lighting composition are pretty good, too. No area seemed to be too dark or too bland. Each area had its own personal look but manages to maintain the game’s core visual style. The look and feel of swords clashing are quite satisfying, and since deflection is a major component to the game, this is a very very good thing. 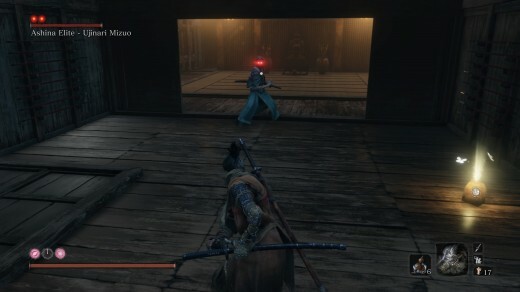 Enemies in Sekiro are relentless, and unless you always keep your positioning in mind, you may find yourself in situations where the camera ends up in a not so favorable position. For a challenging game, this is quite frustrating, but not much can be done except to always make sure you don’t get yourself cornered. The soundtrack and ambient noises fit the Japanese fantasy setting wonderfully, and though the game ships with English voices, the game is set to Japanese audio by default, further contributing to an authentic shinobi experience. Bottom line? Sekiro: Shadows Die Twice, to me, is the best Souls game to date but also the least souls-like of all souls-esque games. They manage to build up Sekiro’s own brand of challenges from a solid foundation, creating an authentic experience that I just couldn’t get enough of. Sekiro is it’s own thing, and it manages to present a stylish experience that rewards you for being methodical in your approach. From managed to rekindle my interest in the genre and I look forward to what they whip up next. Don’t let the challenge discourage you, Sekiro: Shadows Die Twice is a breath of fresh air in a time of spoon-feeding games.